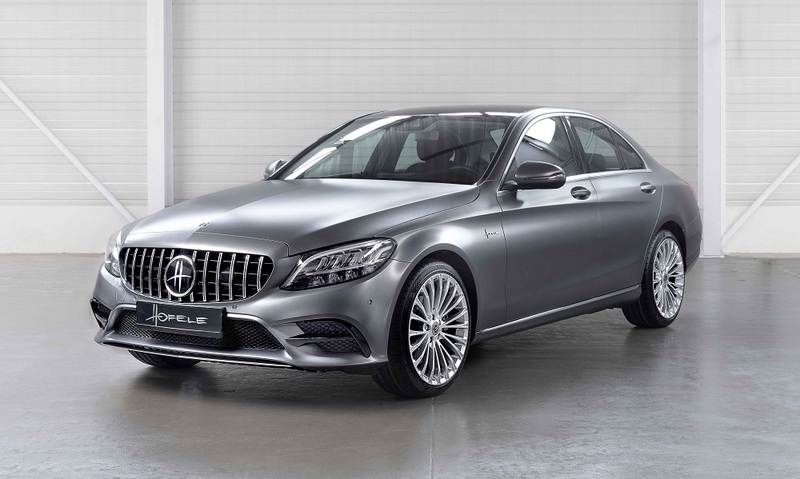 Hofele-Design, the specialist German tuning company and a contractual partner of Daimler AG, has just released details of their latest project based on the Mercedes-Benz C-Class. The new C-Class from Mercedes-Benz offers a very high level of comfort, great specification and beautiful looks as standard. For those wanting something above the "Standard" - here is the C-Class enhanced by Hofele-Design. Named the "Pan-Amerikana" after the legendary Panamericana road race in Mexico which was won by a Mercedes-Benz 300SL in 1952. Hofele includes the distinctive front grille style of the winning 1952 300SL (similar to the design used today on some of the Mercedes-Benz top of the line AMG models) as the focal point of this fantastic looking C-Class. The car pictured here is finished in special Gun Metal with a matt finish and is completed with a High Gloss Black finish for the roof. The Pan-Amerikana 2-tone interior is enhanced by the addition of a handmade masterpiece in "Flamenco red" real leather inserts, which can also be supplied in Alcantara. 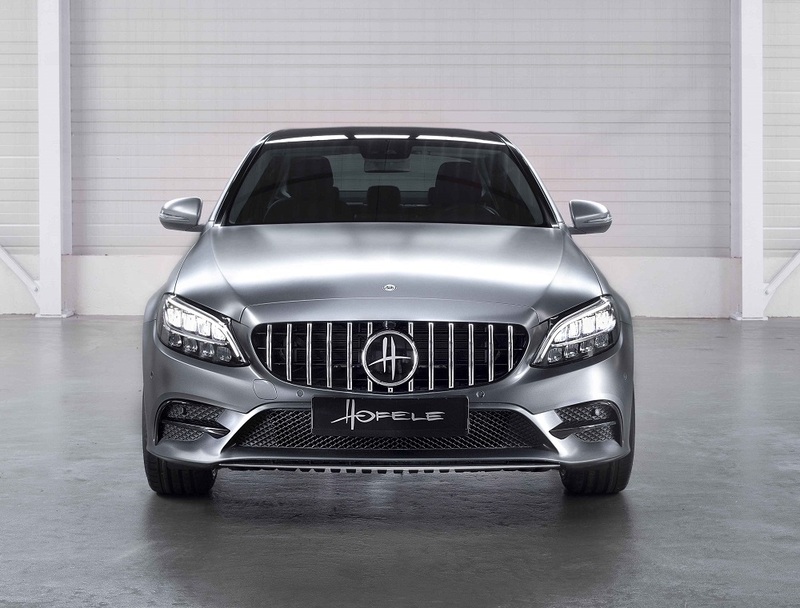 Each Mercedes-Benz enhanced by Hofele is unique and available for the owners to configure to their specifications. 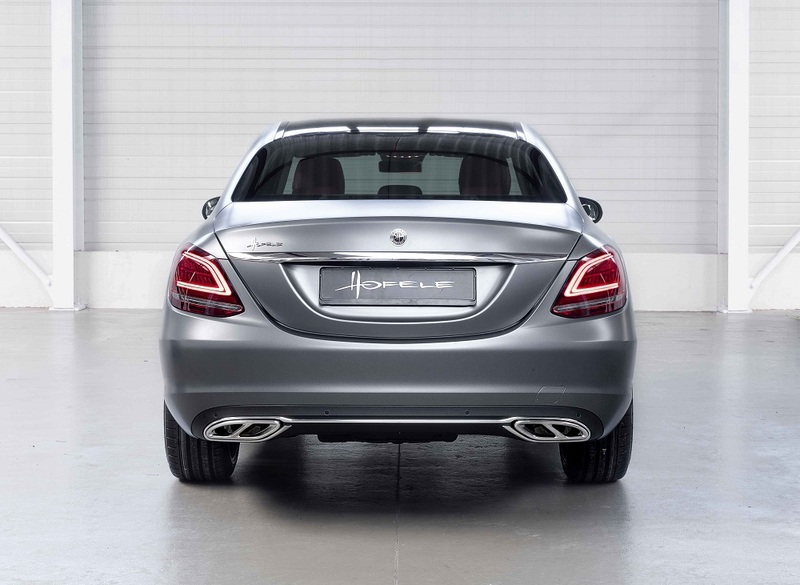 This Hofele C-Class Pan-Amerikana offers individuals the chance to stand out above the crowd with a unique BESPOKE vehicle.